Some things are just plain hard to find. Like an effective weight loss program that includes all-you-can-eat bowls of ice cream. An Elvis impersonator who looks like the young Elvis. A fat, 3-legged, vision-impaired ground hog that can't outrun my lazy dogs. 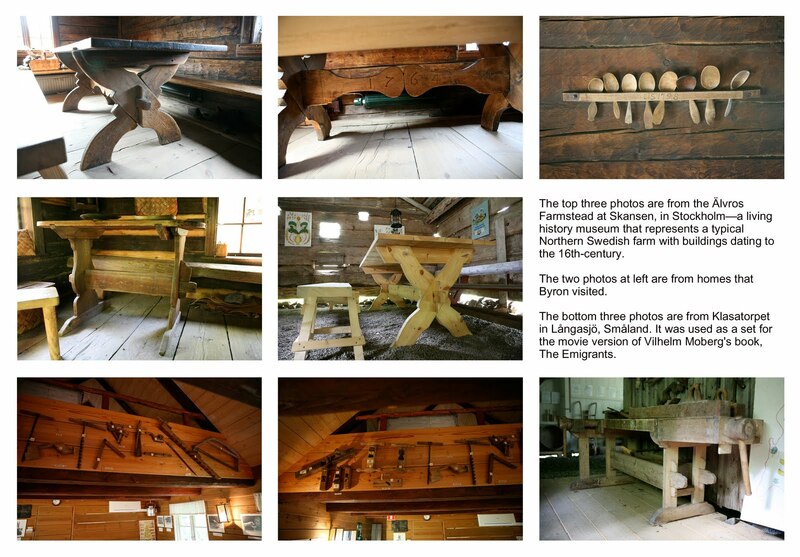 And books on Swedish country furniture. 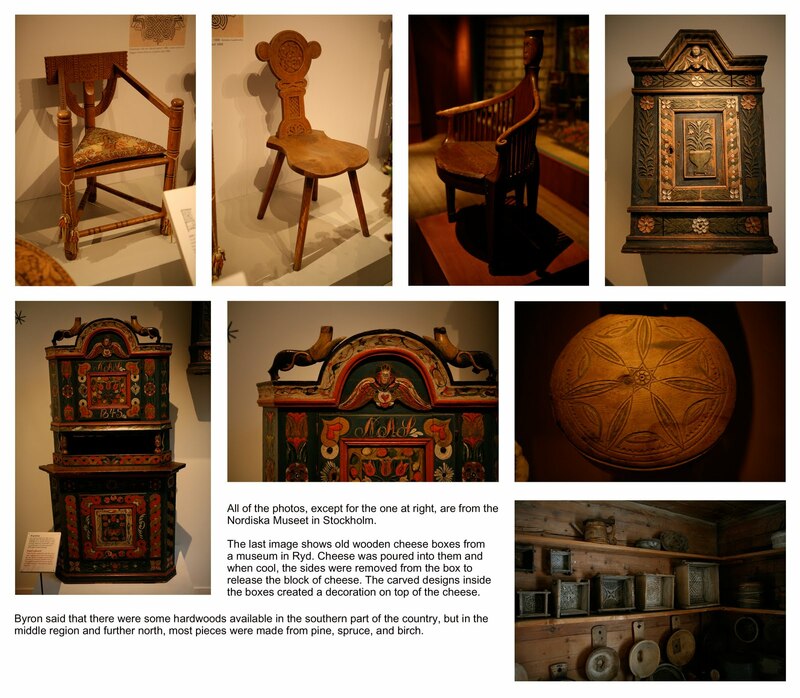 I've been looking for images that reflect the characteristics of old world folk and peasant furniture found in Sweden. Thanks to an online friend, Byron Wiley, who belongs to a Scandinavian dance band in Lawrence, Kansas, these images have found me. Byron recently returned from a month-long trip to Sweden, where he snapped a number of photos of just the types of pieces I've been looking for. All of the photos in this post and all of the accompanying information have been supplied by Byron, to whom I am enormously indebted. 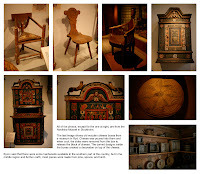 To read more about the places referred to in the photo pages, visit the websites for the Älvros Farmstead and the Nordiska Museet.